October 1, 1968. 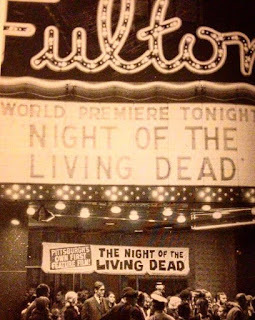 Night of the Living Dead makes its world theatrical premiere at the 600 seat Fulton Theater in downtown Pittsburgh, Pennsylvania. 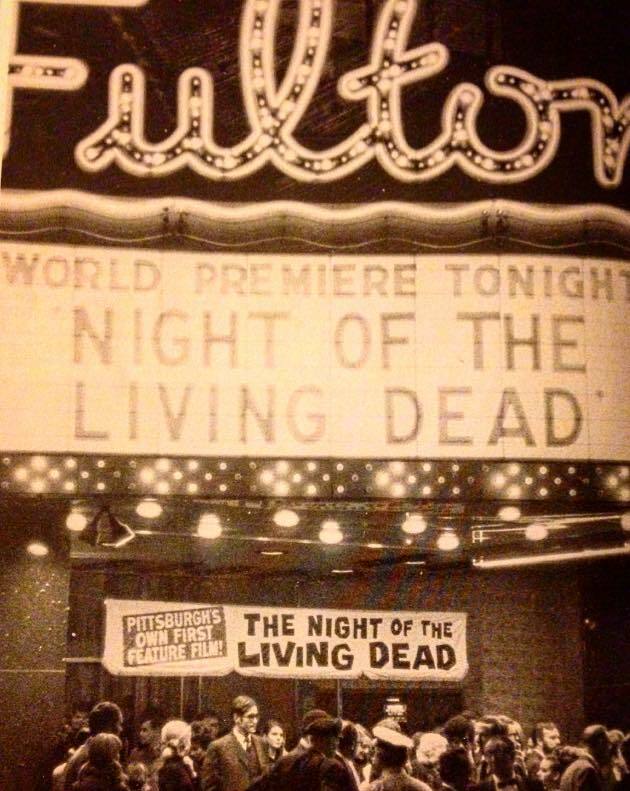 This was a highly publicized "invitation only" screening of "Pittsburgh's own first feature film." The following day, October 2, the film opened to the public in twelve neighborhood theaters and drive-ins. The rest is history. R.I.P. George A. Romero. Long live independent cinema! Long live ravenous shambling corpses! Halloween starts...now!